You don’t feel good about yourself. You don’t feel worthy of acceptance. Maybe your body is not where it used to be after you had a baby. Maybe you’re too busy to find time to exercise and you feel guilty about that. You think that this negative thinking isn’t harming anyone, but really it isn’t only harming YOU, it’s also affecting those around you – and not necessarily in the way you would expect. NOTE: This is part 2 of the post “Before you compliment someone, think about this first…” if you have not read Part 1 I recommend you read it first so you are up-to-speed with that’s going on here since this is a continuation of the post. 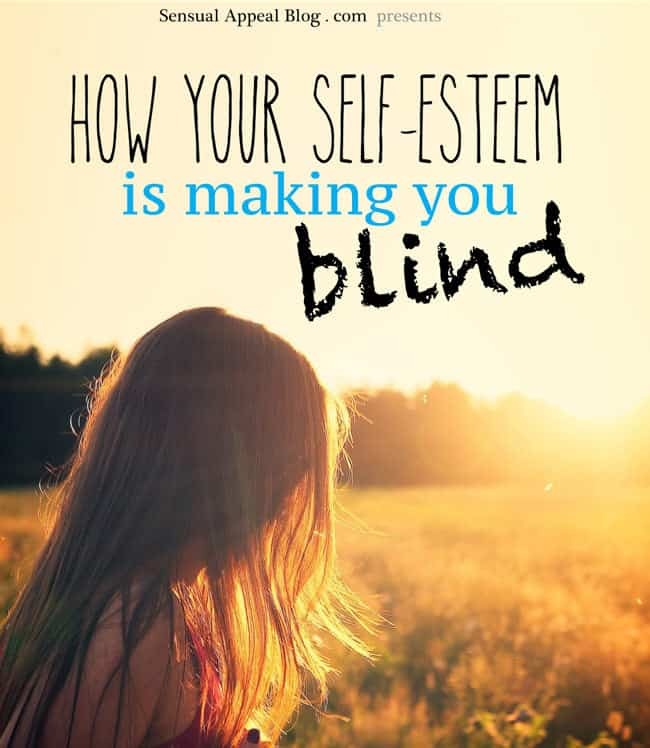 Is it possible that our own self-esteem and body image may be affecting how well we see into the soul of another person? I had no idea this was true until I came with this face-to-face myself. I attended Allie LeFevere‘s workshop in Chicago a few months ago called ‘The Beauty Experiment.’ We (the participants) were divided into groups where we chatted together about what brings us to the event and whatnot. Then Allie asked us to do an exercise – write down something we love or admire about everyone at the table we’re sitting at BUT we had to make it about the other person, not about the materialistic things we lean on. The exercise was… hard. And I wasn’t the only one who thought the seemingly easy exercise would be as difficult as it was. Sure, we barely knew any of the people we sat next to – after all, we only spoke to each other for a couple of minutes. But we all had trouble with this exercise. 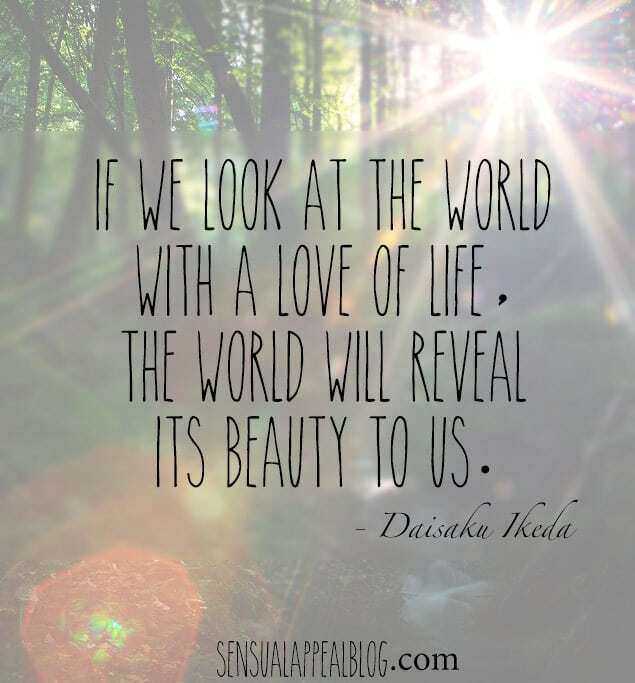 Why is it that we had trouble seeing the great inner things in others? Part of it is the amour I mentioned earlier – we are used to leaning on external objects and we practically forget to notice the true person inside, especially when we first meet someone. Second thing about this is our own clouded judgment. Almost every woman in the room was there because she struggled with self-esteem, body-image, and self-love. On a daily basis, we would beat ourselves up over our imperfections. We would judge ourselves harshly for indulging in “bad” food, for not passing an exam, for not getting a second date. We would attack the weakest part of ourselves whenever things did not go over as planned – whether it’s our intelligence, our body size, our voice, whatever. Because of this negativity and judgement we were so used to, we had trouble noticing the beauty – even inner beauty – in others as well. We were so consumed by the negative focus on ourselves that we forgot that we are not all there is. I hope some light bulbs are going off in your head right now. Naturally the way to truly notice the beauty and magic in others is to first notice that magic in ourselves. However, self-love is a difficult concept – especially for people who are used to beating themselves up and hating on themselves on a daily basis. Thankfully, I’ve found that this is not mutually exclusive and one can influence the other regardless of which comes first. After the Beauty Experiment, I made a commitment to look past the armor. Having made the realization that materialistic things keep us from seeing into the true person within, I wanted to move past that and start noticing the magic in people. And I’m not talking about just someone’s personality. Moving past the armor includes physical features as well as they are still inherent and natural things. The thing is.. there is something beautiful in everyone, inside AND out. The little dimple. Freckles. Beauty mark. Natural hair. Surely, those things do not define who you are but those are the physical things you cannot change and it’s good to notice and appreciate the natural beauty in others. What I vowed myself to do is – find something amazing in every person I meet. It’s easy to judge people: “She’s fat” or “He’s got a huge nose.” We hear judgments like this all the time. And the truth is – no one fits the ideal beauty standard. But the thing is – every person IS beautiful. We are ALL beautiful just for BEING. There is something beautiful in all of us. I hope this post inspires you to look past the armor and into the soul of another human being. Please be aware that I am not saying it’s bad to compliment someone on their clothing or anything like that – there’s nothing wrong with that. It’s great. What I’m saying is that we should be CONSCIOUS of what we compliment people on and notice what is going on – try to compliment someone genuinely on their person next time and you are sure to make a positive shift. Those are the comments that stay with a person. I still remember some compliments I received that were about ME as a person and my abilities that were given to me many years prior. Just food for thought. Next time when you want to compliment someone on their outfit, why not say something along the lines of “I love your outfit. You’re so stylish.” That way you’re turning a regular surface compliant into a genuine one because, although it addresses an object at first, it then comments on the person. I would love to read what you think! What is the most memorable compliment you have ever received? How has it impacted you at the time and afterwards?